Here at ThePolkaDotPosie…we LOVE Valentine's Day. And our fabulous customers. And printables. So we thought what better way to show our love and appreciation this Valentine's Day than with 5 DAYS OF FREEBIES!!!!! 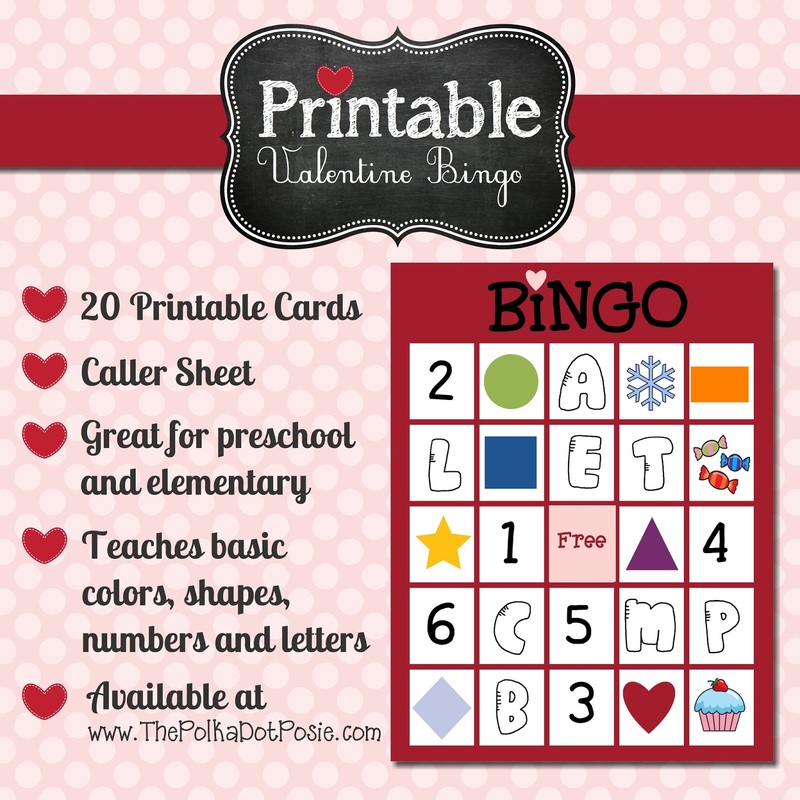 Our first freebie of the week is one of the first printables we ever offered…our Printable Valentine Bingo! If you are in charge of a class party this week, or if you are looking for a fun activity to do with your kids or grandkids at home, be sure to download this fun set. You can use Hershey kisses, conversation hearts or marshmallows as markers. Or, if your school doesn't allow candy, you can also use a heart-shaped punch and make markers out of paper. We hope you and your kids enjoy this fun holiday game!! And be sure to stop back every day this week for more printable fun! Coffee lovers…the next printable is for you! !